Ron Castorina Jr. was officially elected to represent the South Shore of Staten Island in the State Assembly, after he ran unopposed in a special election to replace Joe Borelli. 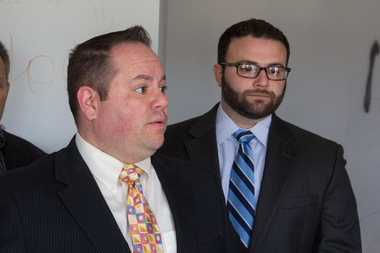 ELTINGVILLE — Former lawyer Ron Castorina Jr. was selected to replace Councilman Joe Borelli's vacant Assembly seat in an uncontested special election Tuesday night. Castorina, who previously served as the Republican commissioner for the Board of Elections, ran unopposed to fill the 62nd Assembly seat and got 12,776 of the votes Tuesday night, with 279 votes for write-in candidates, according to the Board of Elections. He'll replace Borelli, who vacated his Assembly seat in November and took over Vincent Ignizio's vacated city council seat. Castorina told the Staten Island Advance his top issue will be fighting the heroin and opioid problem in the borough.